Drama students at The Sixth Form College, Solihull showcased their skills this week with a series of performances in front of friends, family and examiners. The second year A level Drama & Theatre students split into groups to be assessed on their scripted extracts from four plays. Their performances featured adaptations of the following plays: “Mermaids” by Polly Teale, “Mine” by Polly Teale, “Woyzeck” by Georg Buchner and “Spring Awakening” by Frank Wedekind. These adaptations focussed on issues such as class differences in society, the challenges of adoption and parenthood, psychological torment and mental health issues, sexual oppression in Victorian culture and peer pressure. 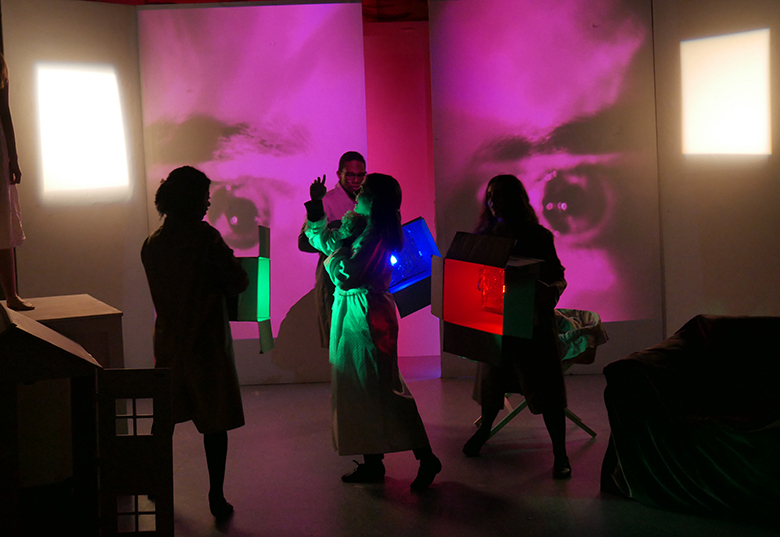 The students chose the roles they wanted to be assessed on, including acting, set or costume design and lighting or direction. The practical coursework element of the course carries 30% of the marks for this course and examiners from AQA were in College to assess their performances. The next Drama Showcase takes place on Wednesday 6 and Thursday 7 June, when current Year 12 Drama students will showcase their work. Tickets information will be available in May, when we will be fundraising for the Drama department.